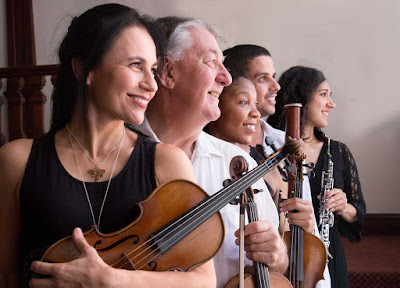 Lovers of baroque music were treated to a captivating morning of music as the Baroque 2000 Ensemble performed their 2019 Season opening concert in the old church at the Mariannhill Monastery on Sunday (March 31). This was the first of a season of eight concerts which will be presented at this venue on the last Sunday of each month (barring July and August). And what a start it was, with the ensemble rising to the occasion and performing the music of three of the greatest baroque masters, Bach, Handel and Corelli, with sublime skill, dynamism and synergy. Also on the programme was a work by a lesser-known Italian composer and singing teacher of the baroque era, Nicola Porpora, along with a piece by a modern-day baroque composer, Federico Maria Sardelli. Porpora’s contribution was his sprightly Symphony in Trio in G major Op.2 No.5. Performed by two violins, cello and harpsichord, it provided a lively start to the concert. Johann Sebastian Bach’s Overture (Orchestral) Suite No 1 in C major BWV 1066 was next on the programme. The ensemble was increased to 11 members, including a wind section of two oboes and a bassoon, for the performance of this exciting and thrilling dance music. Notable was the excellent contribution by Charl Van der Merwe on the bassoon during this work. Born in 1963 in Italy Federico Maria Sardelli is a conductor, historicist, composer, musicologist, flautist, painter, engraver, novelist and satirical writer. He also finds time to write music and it was the first movement (Adagio) of his Concerti Grosso for strings in D major that was performed on Sunday. This piece was grouped together with a composition by another baroque genius, Georg Frideric Handel. His brilliant Concerto Grosso in D minor Op 3 No 5 is a masterful and most enjoyable work and was delivered with aplomb by the ensemble. For me it was a case of saving the best for last as the full ensemble put in a memorable performance of Arcangelo Corelli’s Concerto Grosso in D major Op 6 No 4. It is a harmonious and graceful work with a frenetic conclusion and was highlighted by breathtaking and captivating, virtuoso performances on their violins by Concertmaster Ralitza Macheva, and Refiloe Olifant. An exhilarating conclusion to a most enjoyable concert. The next Baroque 2000 concert is scheduled to take place at 11h30 on April 28 at the Mariannhill Church of the Monastery.